Dr Dario Brdarić works at the Institute of Public Health for the Osijek-Baranya County, Osijek, Croatia. He is a Lecturer and Course Leader at the University of Applied Health Sciences, Department of Environmental Health, Zagreb, Croatia. He serves as a Secretary of European Federation of Environmental Health. He worked with the WHO on implementation of Parma Declaration commitments in environment and health field. He has more than 12 years of rich experience in environmental protection, public health and management of the EU, UN, national and local projects. He completed his PhD in environmental sciences at the University of Osijek and Ruđer Bošković Institute in Zagreb, Croatia. 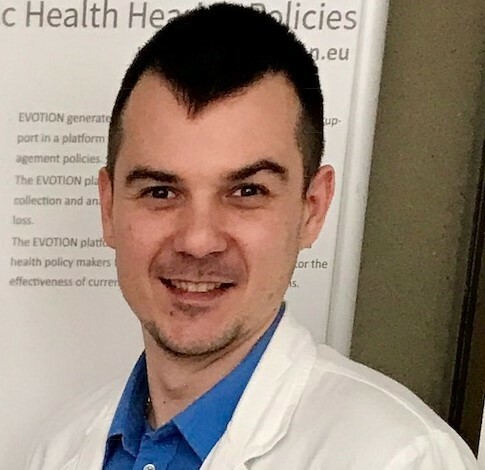 Currently, he leads Horizon 2020 project from Croatian side in development of public health policies and he works on implementation of cross-border project in mosquito control and prevention of vector-borne diseases. His research interests include exposures to chemical and biological pollutants, water, sanitation & hygiene (WASH) programs, prevention of vector-borne diseases and development of public health policies. He was trained at international workshops and international organizations. He is author of numerous scientific and professional papers. He is a member of several national and international professional organizations.